Cannon County's very own Elizabeth House is a state winner for 4-H Line and Design. Elizabeth is currently attending State 4-H Roundup at the University of Tennessee, Knoxville. This year theme is Breaking Barriers and Building Leaders. The purpose of Roundup is to enable senior 4-H members to become better acquainted with opportunities offered by the University of Tennessee. It encourages members to become more familiar with research verified principles in agriculture, family and consumer sciences and related fields. The 4-H members receive recognition of their outstanding project work and leadership accomplishments. 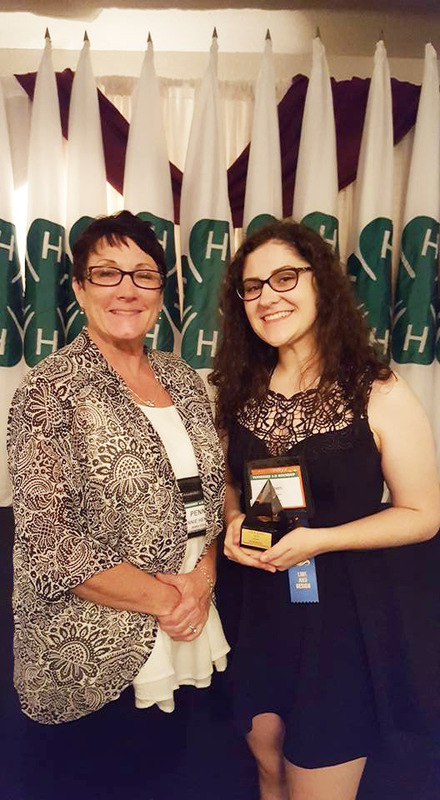 We couldn't be any prouder of Elizabeth House and her accomplishments and special thanks to her mom Rena House, for being a great volunteer and encouraging 4-H growth in the community.